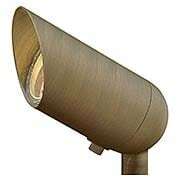 Inconspicuous by day, outdoor spotlights showcase the distinct features of your home and landscape by night. Placed near a tree, a garden wall, or your home's facade, they transform any object into a work of art. 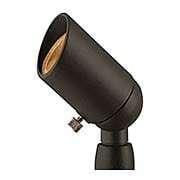 Choose from a variety of styles, sizes, and LED options. This flood light is ideal for illuminating an area or object, creating a shadowing effect onto your facade, or for backlighting to dramatize an object. Made of weather-resistant cast aluminum, it features a durable powder-coated finish. 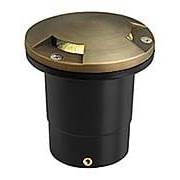 This Traditional Spot Light (20W, MR11) is ideal for illuminating an area or object, creating a shadowing effect onto your facade, or for backlighting to dramatize an object. 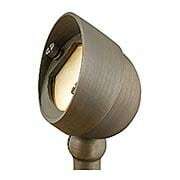 Made of weather-resistant cast aluminum, it features a durable powder-coat finish. Our Traditional Spot Light (50W, MR16) is ideal for illuminating an area or object, creating a shadowing effect onto your facade, or for backlighting to dramatize an object. 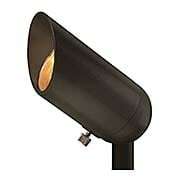 Made of weather-resistant cast aluminum, it features a durable powder-coat finish. Named for the ruggedly beautiful island off of the coast of British Columbia, Hardy Island is a striking collection of form and function. 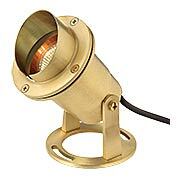 Made of heavy-duty, solid cast brass, this spot light is designed to withstand the harshest elements. The weathered finish ages gracefully over time into a beautiful natural patina. Ideal for illuminating an area or object, creating a shadowing effect onto your facade, or for backlighting to dramatize an object. 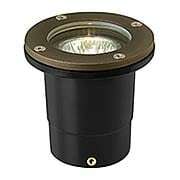 This Submersible Light is an excellent way to illuminate your pond or waterfall. 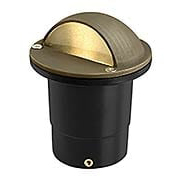 Made of solid brass, it is designed to withstand the elements. 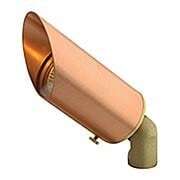 Made of weather-resistant copper and brass, this spot light is designed to withstand the elements. It is ideal for illuminating an area or object, creating a shadowing effect onto your facade, or for backlighting to dramatize an object. Named for the ruggedly beautiful island off of the coast of British Columbia, Hardy Island is a striking collection of form and function. Made of heavy-duty, solid cast brass, this flood light is designed to withstand the harshest elements, and the weathered finish ages gracefully over time into a beautiful natural patina. Ideal for illuminating an area or object, creating a shadowing effect onto your facade, or for backlighting to dramatize an object. Named for the ruggedly beautiful island off of the coast of British Columbia, the Hardy Island Flat-Top Well Light is a striking example of form and function. Designed to withstand the harshest elements, it is made of heavy-duty, solid cast brass, and features a weathered finish that ages gracefully over time into a beautiful natural patina. Ideal for up lighting to illuminate a textured surface or architectural element such as a stone wall, tree trunk, or climbing ivy. Comes with easy installation, anti-corrosion burial sleeve (can install into concrete). Named for the ruggedly beautiful island off of the coast of British Columbia, the Hardy Island Grill-Top Well Light is a striking example of form and function. Designed to withstand the harshest elements, it is made of heavy-duty, solid cast brass, and features a weathered finish that ages gracefully over time into a beautiful natural patina. Ideal for up lighting to illuminate a textured surface or architectural element such as a stone wall, tree trunk, or climbing ivy. Comes with easy installation, anti-corrosion burial sleeve (can install into concrete). Named for the ruggedly beautiful island off of the coast of British Columbia, the Hardy Island Eye-Brow Well Light is a striking example of form and function. Designed to withstand the harshest elements, it is made of heavy-duty, solid cast brass, and features a weathered finish that ages gracefully over time into a beautiful natural patina. 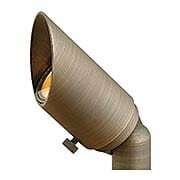 Ideal for up lighting to illuminate a textured surface or architectural element such as a stone wall, tree trunk, or climbing ivy. Comes with easy installation, anti-corrosion burial sleeve (can install into concrete).